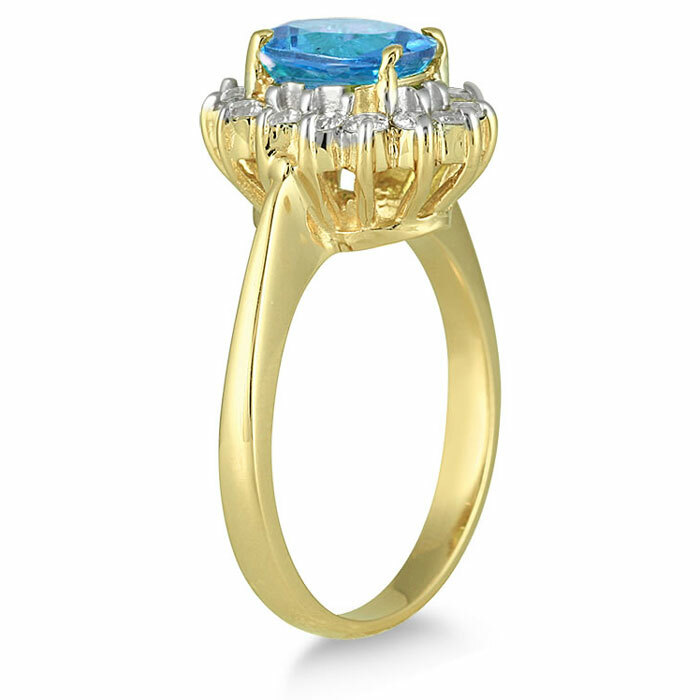 This Oval Blue Topaz Diamond Ring in 14K Yellow Gold provides a refreshing burst of color for your finger as it displays a flower that will always be in bloom. With its vibrant color, offset by the versatile, colorless dazzle of diamonds, this is one blossom that will never wilt or fade, no matter how much time goes by. 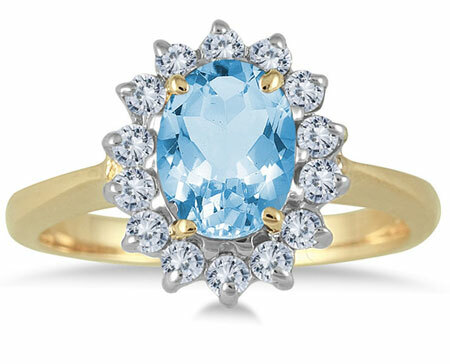 Serving as the center of this lovely style is an oval-shaped blue topaz, 8mm high and 6mm wide. This sizeable stone instantly draws the eye with its vivid hue, a bright color similar to that of the aquamarine, but with a beauty all its own. This lively gem is contrasted in striking fashion by 14 small round diamonds, a third carat of stones that create the look of dazzling petals as they form a frame around the center stone. This is a feminine take on the halo ring that's sure to add a touch of spring to your look no matter what the season. This glittering, ever-blooming flower is set on a band of gleaming 14K yellow gold, adding sunshine to this elegant style. This is a sweet yet daring design that will look just as lovely in a few decades as it does in the present. 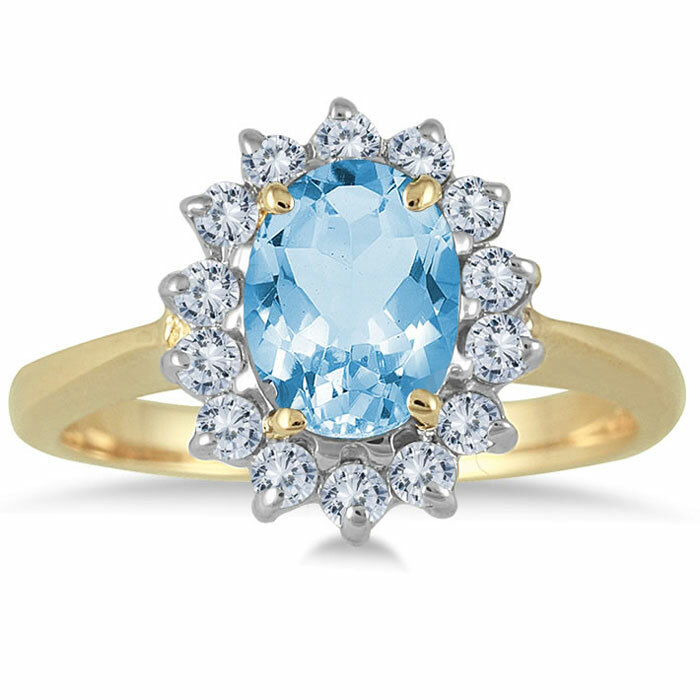 We guarantee our Oval Blue Topaz Diamond Ring, 14K Yellow Gold to be high quality, authentic jewelry, as described above.